Main floor living, open floor plan with vaulted ceilings. Hand scraped wood floors, newer high efficiency furnace w/ air conditioning, and new dishwasher. 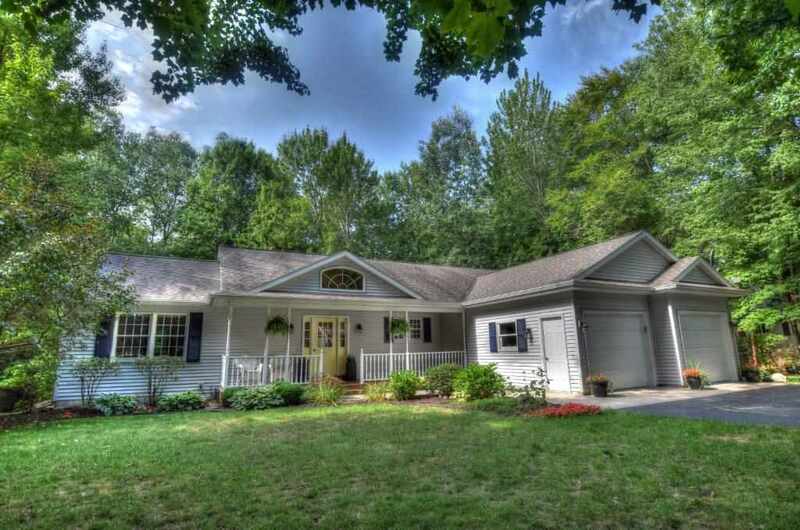 Enjoy a gas fireplace, spacious tiled master bath with whirlpool tub, double vanities and shower. Daylight lower level ready to finish. Nice deck. Lot goes down to the creek..